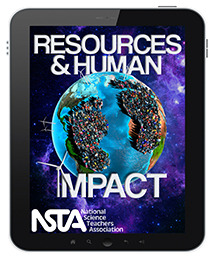 This is a visually appealing version of the NSTA Human Impact SciPack ($14). However, it doesn't include a certificate of completion at the end, like the SciPack. Many of the chapter titles are the same as the ones in the SciPack and it follows the same general outline. I have already completed the SciPack, passed the assessment, and earned a certificate. I'm disappointed that this E-book ($23) didn't provide any new resources or information.